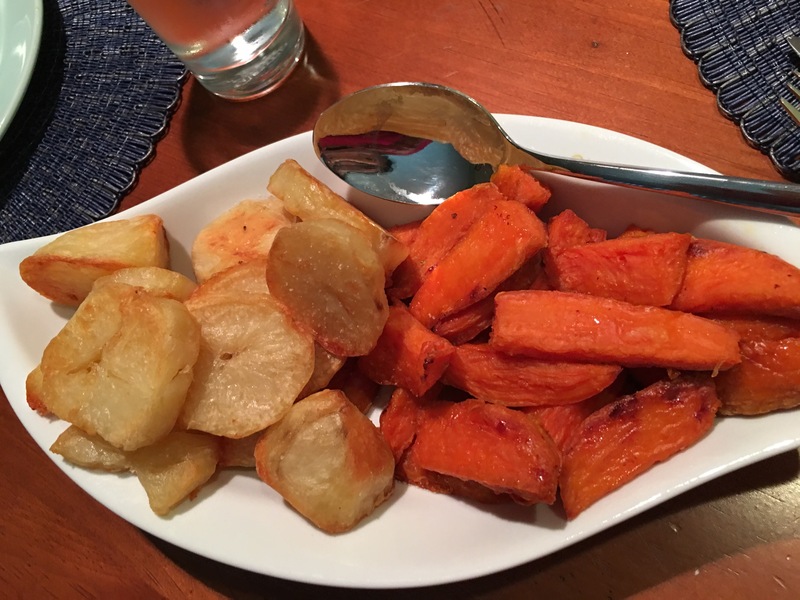 Roasted sweet and russet potatoes – Hurried Home Chef! 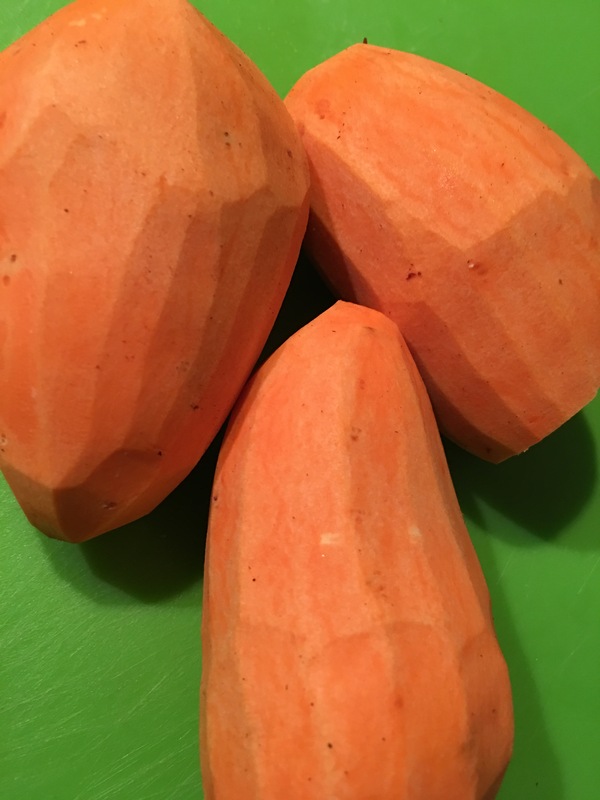 A colorful side that is a bit better than white potatoes–are sweet potatoes! Not everyone will eat them though, so I made both. Peel and dice. 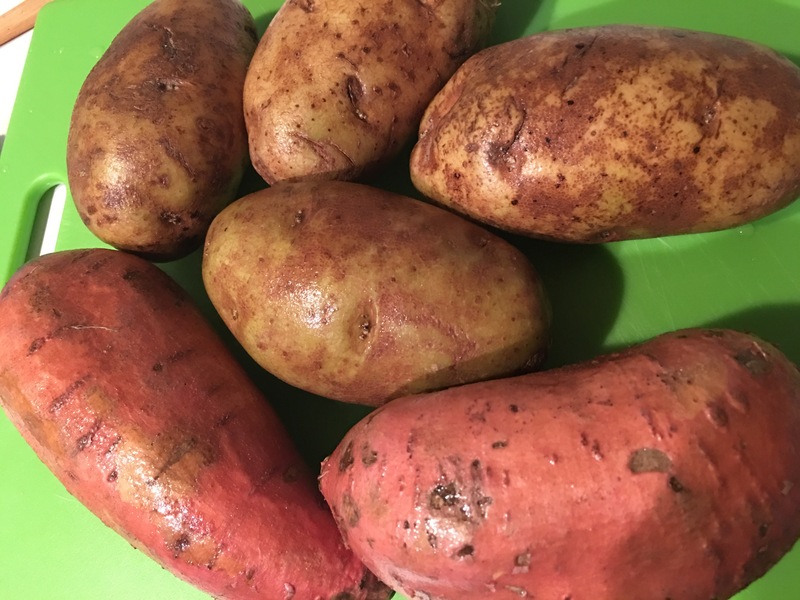 I cut the potatoes in circles and the sweet ones in steak fry shape. I boiled them together until fork tender with a chicken cube to add some flavor. Spread out on baking sheet with some oil. 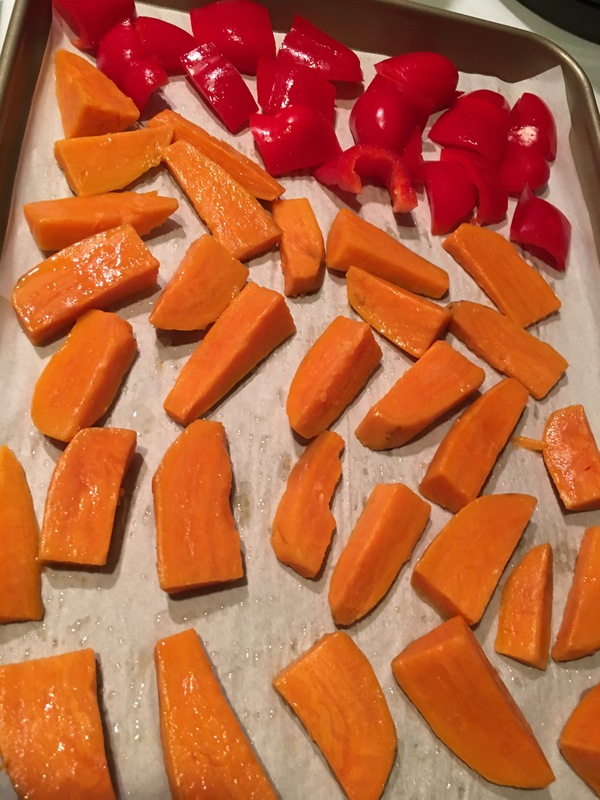 I had a bell pepper hanging around and added that to the pan as well. You can also pan fry these if your not excited about heating up the whole house. I had them in at 350 for about 90 minutes. This goes really well with a roast beef or baked chicken. You can add parsnips, turnips, or leeks here as well. 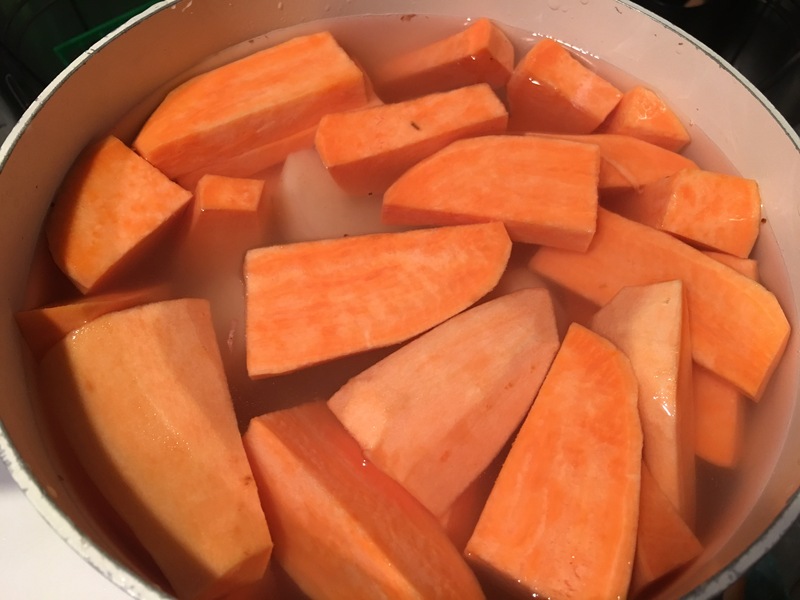 Dust with some salt, you can also add some cinnamon or pumpkin pie spice to the sweet potatoes or some brown sugar too.